Lesser flamingos in a lake. 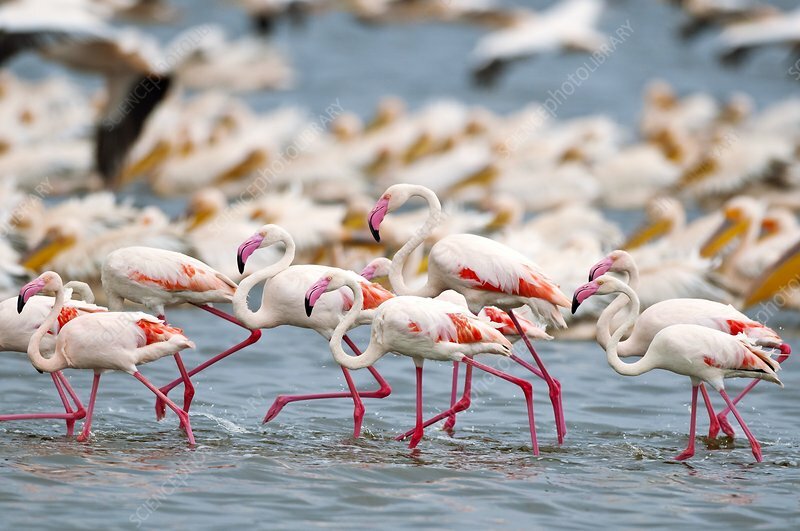 Lesser flamingos (Phoenicopterus minor) are found mainly in the area surrounding the Great Rift Valley in Africa. They feed primarily on Spirulina cyanobacteria (blue- green algae), which contain pigments that give them their natural pink colour. Photographed in Lake Nakuru National Park, Kenya.